Cats can be the most magical companions – they can be cute and cuddly but also independent. If you’re thinking about welcoming a feline into your home, it could be a very rewarding experience but it also comes with a lot of responsibility. At The Insurance Emporium, we’re aware of this, and that’s why we’ve put together this list of five things we think you should know if you’re getting a cat. 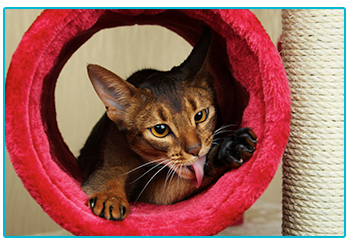 Make sure that your cat is entertained and also that they have somewhere in the house where they can be alone and feel safe. Sort out somewhere for them to play, where they have a selection of cat toys and a scratching post. As well as giving them places to play, it’s also worth allowing places for them to hide. Cats often like to hide under beds or high up, on top of shelves and cupboards. 2. In? Out? Shake it all about? Think about whether you would like your new furry friend to be an indoor or outdoor cat. Before you make a decision, there are a few things to consider. For example, if you’re near any major roads then it’s probably best to keep your cat indoors. Additionally, if there are a number of other cats in your area that are bigger than your cat, keeping your feline friend indoors could help them to avoid getting into fights. Whether you have an indoor or outdoor cat, consider microchipping them. 3. Can you handle the commitment? While cats tend to be independent free spirits, you’ll still find that owning one is a big commitment. You might find that you don’t get to go on holiday as much and, when you do, you’ll need to book a cat sitter to come to your house or for your furry friend to go into a cattery – we’ve got some tips if you go down this route. What’s more, owning a cat could affect day-to-day social plans as you will need to arrange meeting with friends around your pet’s meal times. 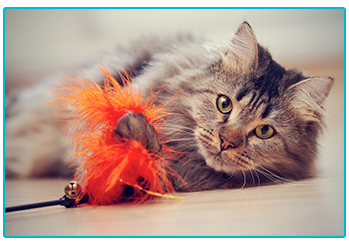 Before you welcome your new feline friend into your home, ask yourself this: is it hazard free? For example, there are various plants that are toxic to cats, such as lilies, chrysanthemums, English ivy, azaleas and rhododendrons. There are also certain foods that should be hidden away from your cat because they can be poisonous if your feline eats them. These include grapes, avocados, raisins, raw meat and onions. Owning a cat could prove to be fairly costly. Food, a litter tray and cat litter are the absolute basics, which could quickly add up. As well as this, you’ll want to look into getting your cat set up with a vet and potentially getting them spayed or neutered – you could potentially get them microchipped at the same time. You might also wish to consider getting your pet insured in case something does go wrong for your furry friend, as you could find yourself facing a big financial blow. If you’re well prepared for welcoming a new feline friend into your home then hopefully you’ll have many magical years together. However, sometimes things go wrong regardless, which is where having pet insurance could come in. 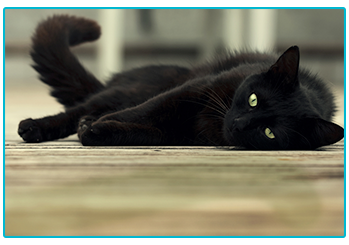 The Insurance Emporium’s Cat Insurance could include a range of benefits, such as cover for Vet’s Fees up to £8,000*. New customers could also get up to 30% discount^. Visit The Insurance Emporium to find out more! *Available on lunar monthly Lifetime Gold policies only. ^The 30% discount is available on lunar and calendar monthly policies and policies where the premium is paid annually. It is made up of 20% Introductory Discount plus 10% Multi-pet Discount (if appropriate). The Introductory Discount is available for the first 12 premium payments on lunar and calendar monthly policies or one premium payment on annual policies.